Our commitment to providing you with the highest quality games we can produce sometimes means making the hard decision to delay the release of a game to get it just right. 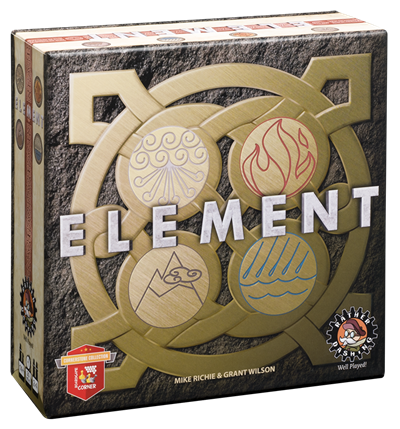 Due to a manufacturing delay and the opportunity to improve some of the component pieces in Element, we are announcing the release of the game has been pushed back to Spring 2017. We are so excited to get this game into your hands and we want to be sure we are offering you the best version we can. So relax, enjoy the upcoming holiday season with all our other great games currently available, and join us in 2017 as we master the forces of nature together in Element. The wait will be worth it, we promise. Take a look at this sneak peek of the sages. How cool are they?!? Oktoberfest = beer + gaming, right? The final weekend of Oktoberfest is upon us. May your tankard be ever-full, and the brew maidens swift in the serving! Looking for a couple games to play while enjoying your drinks and camaraderie? 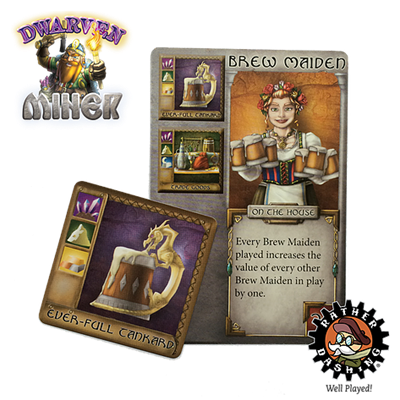 Check out Dwarven Miner (game pieces pictured above) and Four Taverns. CAUTION: Fun and bragging rights are common side effects of our games. Please drink (and game) responsibly.